Type 2 pick-up buses are sometimes equipped with a protection cover above the cargo, so that the luggage would be protected against bad weather conditions or theft. This cover was kept on place by means of 2 metallic hoops that were screwed upon the wide bed. The hoops were connected at the upper side by means of small slats. 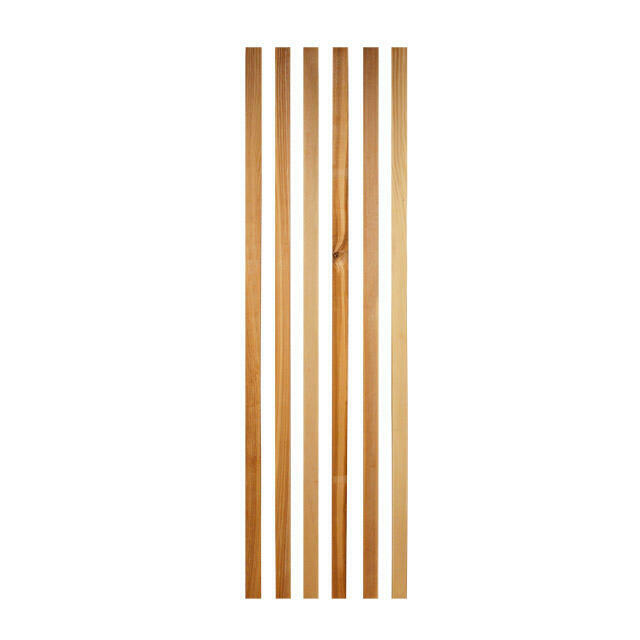 These slats get easily damaged or have been affected after many years with cubic rot. From now on BBT can deliver these replacing slats from stock in an original reproduction. Available in a set in the well-known BBT quality for Type 1 -07/67 and Type 2 08/67-07/79 in a version for single cab as well as one for double cab.